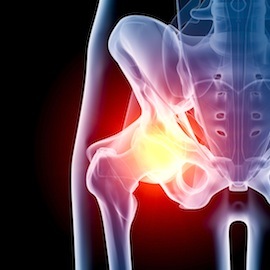 If you received a DePuy® Hip Replacement System after July 2003, you may be eligible for compensation*. DePuy Orthopaedics has issued a recall of their ASR™ XL Acetabular Hip System and the DePuy ASR™ Resurfacing System. Both systems came into use after July 2003. Those experiencing hip, thigh or groin pain should call Lenahan & Dempsey immediately. Many who have received the affected DePuy systems may need to have them surgically removed and replaced. It is very important you do not sign anything before speaking with a Lenahan & Dempsey lawyer. You may be signing away important legal rights. If you received a DePuy Hip Replacement after July 2003, contact the Lenahan & Dempsey Hip Replacement Legal Unit immediately at 1-888- LENAHAN (1-888-536-2426). Or fill in our client form by clicking here. Lenahan & Dempsey has a DePuy Hip Replacement Legal Unit available to handle the complex litigation from the DePuy recall. If you have DePuy cases and are looking for a referral source, please contact us at Lenahan & Dempsey by calling 1-888-LENAHAN (1-888-536-2426). * Website Legal Disclaimer: The facts of each case are different. No specific results are implied.